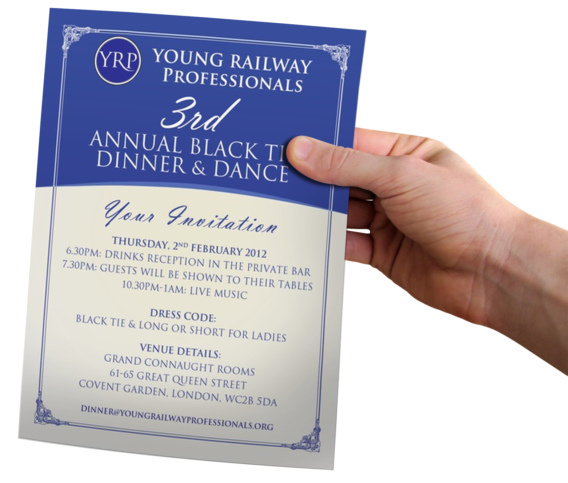 Primary Image created a number of promotional graphics for the Young Railway Professionals throughout 2010 and 2011 to support their events marketing. 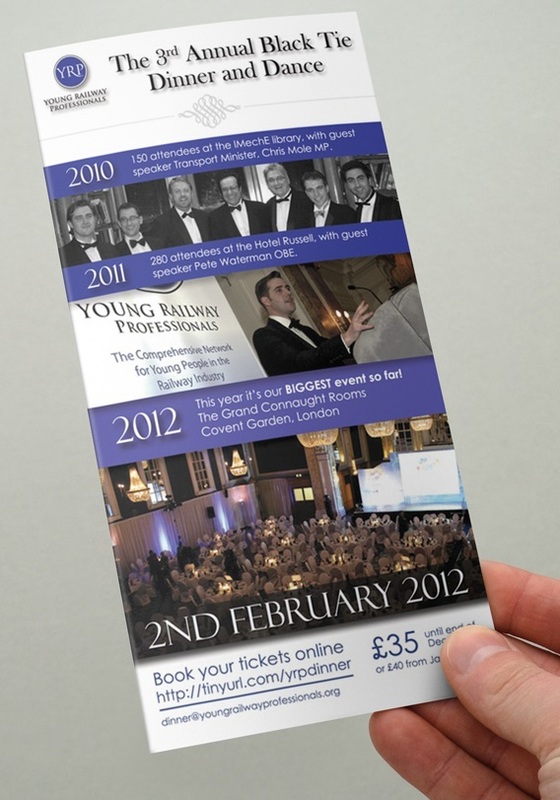 This included producing 500 printed flyers prior to the 2012 Annual Dinner. We also created menu booklets for the tables and undertook photography at this event. 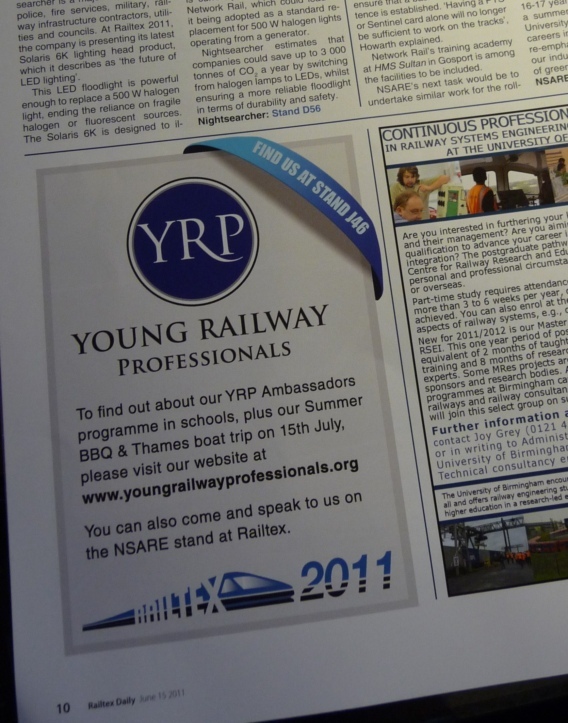 In addition, Primary Image produced an advert design, published in a newspaper, which was used to promote the Young Railway Professionals being at the national Railtex event. Also check out the website, banner stands, business cards, logo and brochure that Primary Image created for the organisation.